Take a complete 360 immersive walk through virtual tour of the Majesty 56. 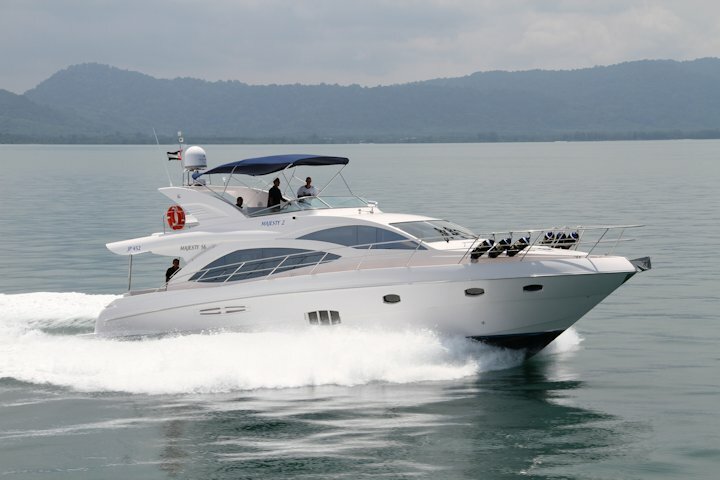 The Majesty 56 is undoubtedly one of the most popular yacht sizes in our Majesty Yacht series. While based on the superb performance of a legendary hull design, key design goals in the development of this vessel have been its unique styling as well as space usage optimization.